We love a good love story! And we’re guessing you do, too… That’s why every Wednesday, we’re bringing you real life “I dos” that are sure to inspire (and give you a peek into couples’ planning experiences). Want to share your happily ever after? Submit your wedding here! 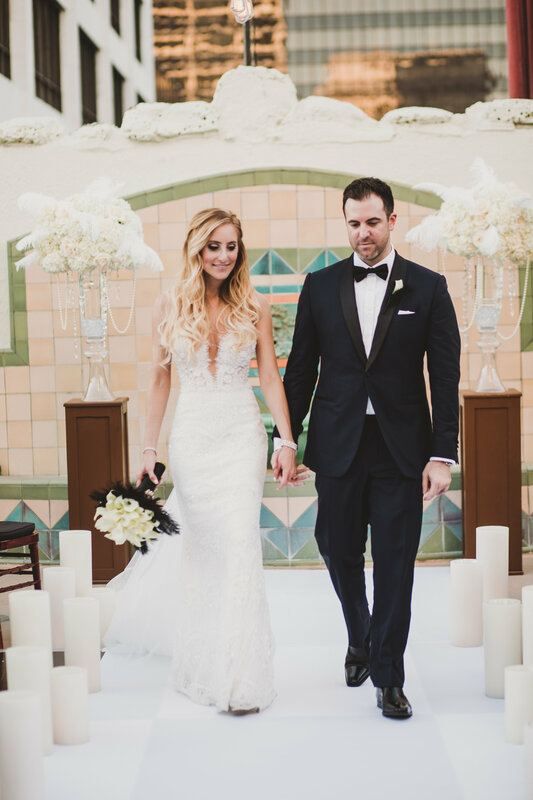 #realweddingwednesdayInspired by F. Scott Fitzgerald’s The Great Gatsby, Barbara and Hernan modernized the magic of the 1920s at the Oviatt Penthouse, the historic art-decor rooftop in the heart of downtown Los Angeles. 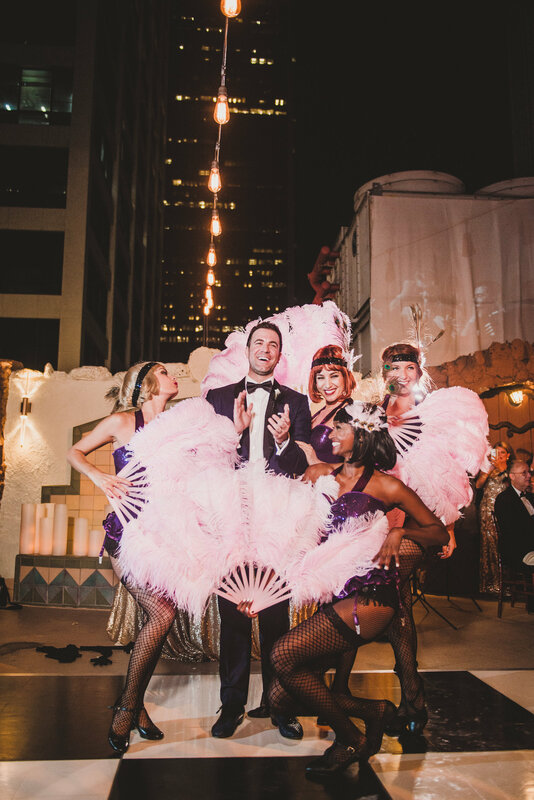 Overlooking the cityscape, their intimate evening wedding ceremony transformed into a bustling dinner party full of burlesque performances, endless champagne, and dancing until the wee hours of the morning. 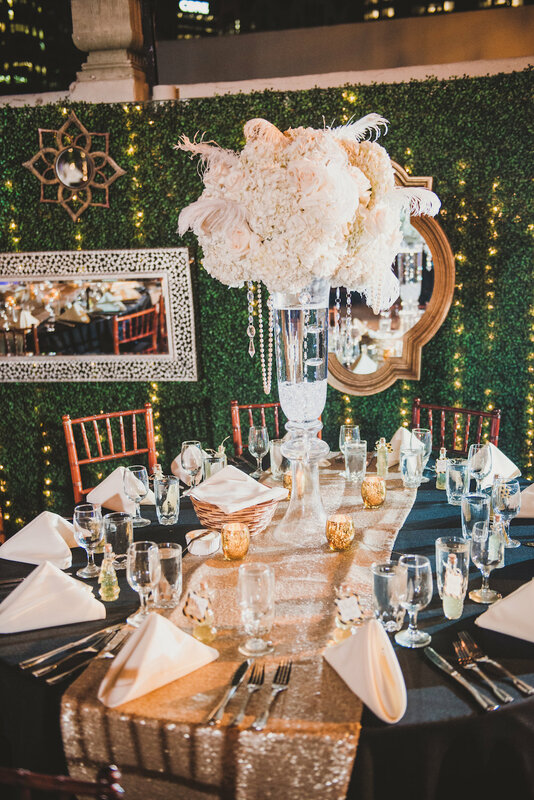 In true Gatsby fashion, the duo incorporated a black and white dance floor, sequin linens, crystal and feather centerpieces, and art-deco signage. And guests were encouraged to dress the part for the roaring black tie affair. 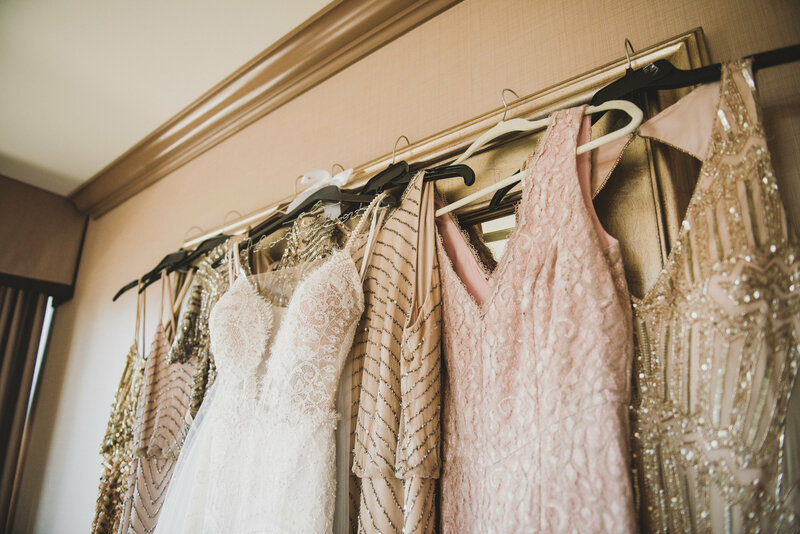 Bridesmaids donned flapper-approved Adriana Pappel sequin gowns, while Barbara wore a custom Berta Bridal gown. 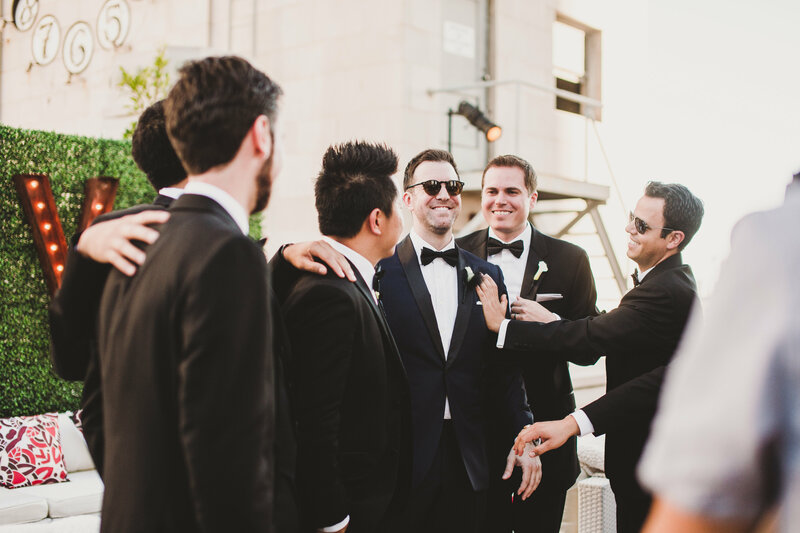 The groom had the support of his sharp suit-clad crew. 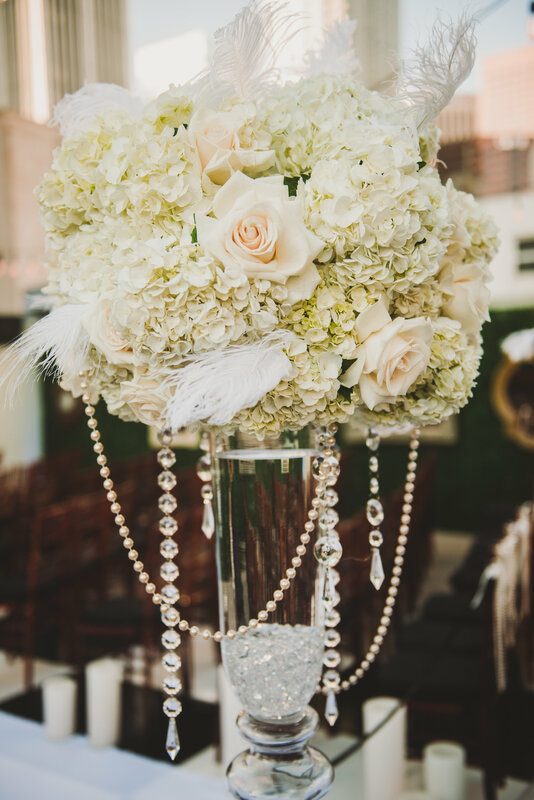 Sophisticated white roses with feather embellishments just screamed 1920s vintage glamour. 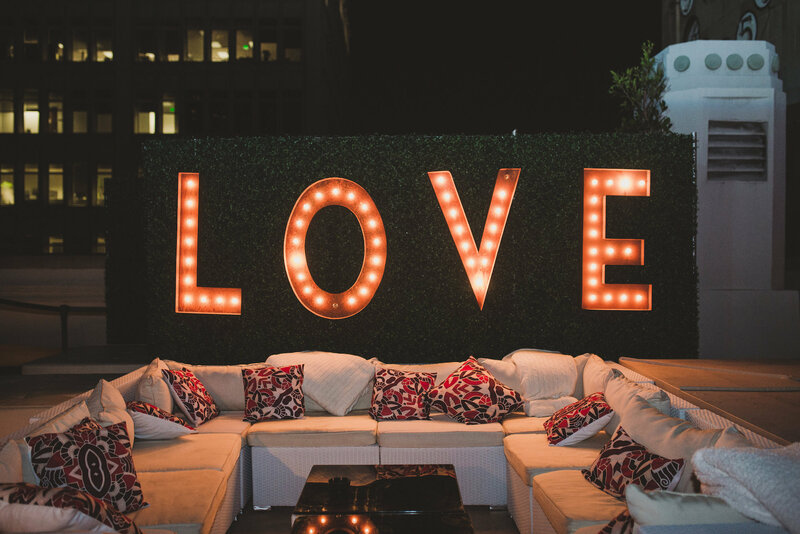 Love was in the air over in the lounge, complete with deco-printed pillows. 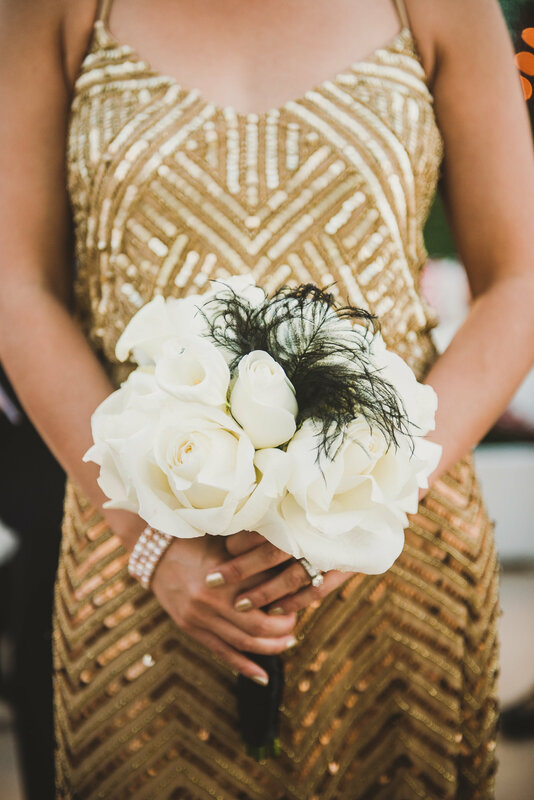 These blooms, feathers, and pearls channel the luxe look of the roaring twenties. 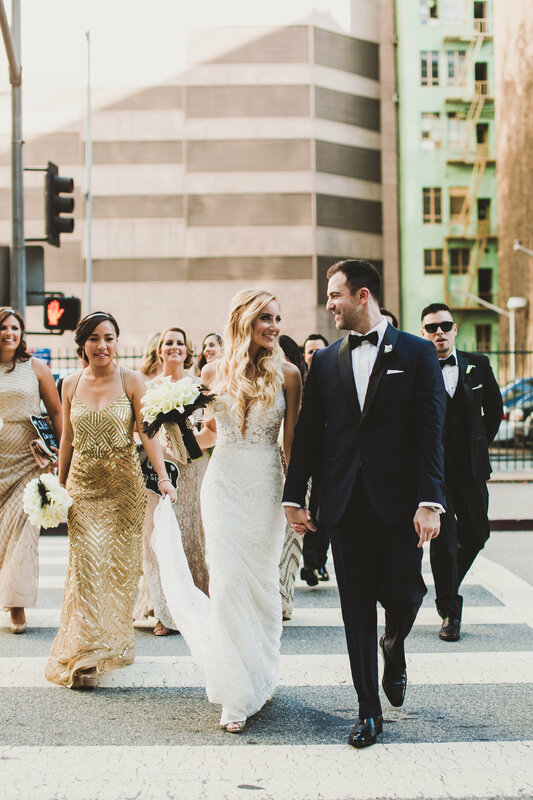 This stunning couple sure knew how to throw a lavish party. Whoa! These centerpieces would give Mr. Gatsby a run for his money. 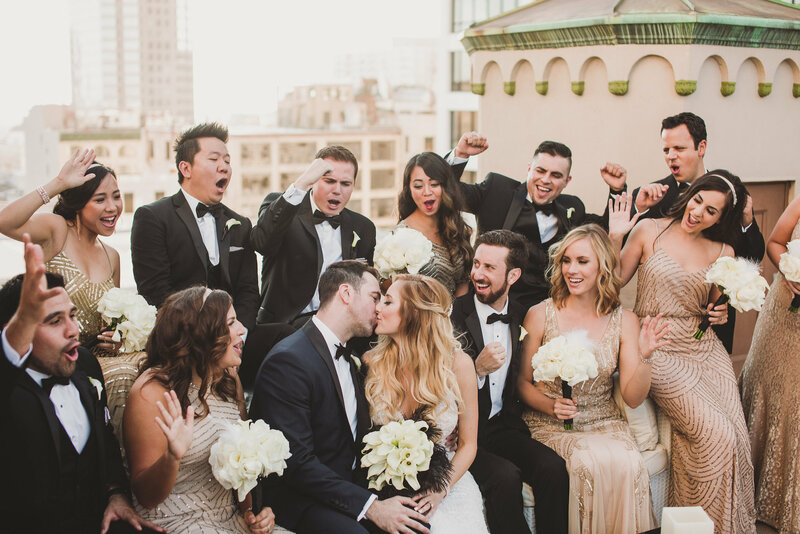 This stylish bridal party looked ready to have a swinging good time. 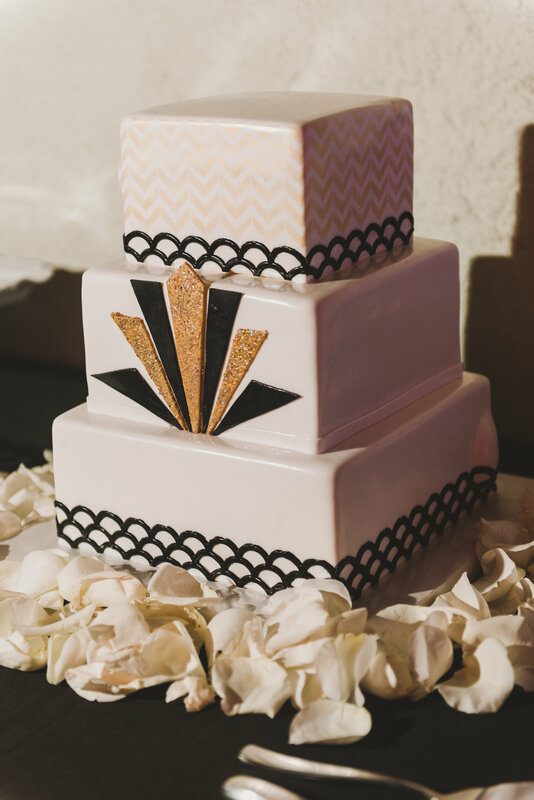 What’s a Gatsby-inspired soiree without a little glitz and glamour?